Standing at 1.2 kilometres long, the terminal at Tempelhofer Feld in Berlin’s west was the beginnings of Hitler’s Welthauptstadt Germania in the 1930s, becoming the largest building in continental Europe and still one of the 20 largest structures on Earth. Spared by the Allies (knowing they would obtain ownership and therefore usage of the airport) towards the end of the War much of the original 1940s structure still stands today. A panorama view of the airport from the roof of the terminal. 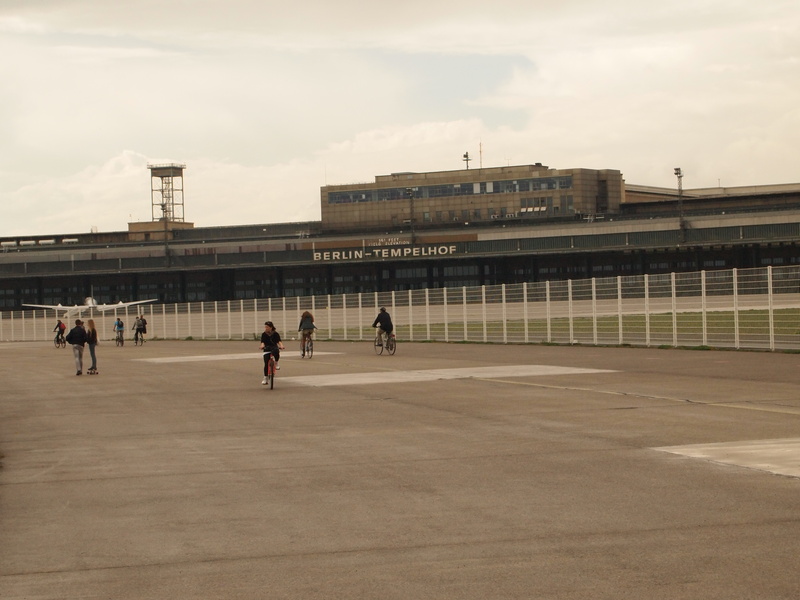 Used as a US army base and commercial airport during the Cold War and in the years following, Tempelhof close was 2008 the space is now used as public parkland and commercial function centre for music festivals and sporting events. Although developers tried sinking their teeth into the whopping land soon after it’s closure, a unique referendum loophole in Berlin, allowed a petition to become law, preventing any development from taking place on the Feld for at least 15 years. Since the people’s success, the space has been used by the cities inhabitants for all kinds of recreational activities including sports practices; kite surfing and cycling between the runways. Scattered around the fields are designated barbeque areas and you can find many groups spending a lazy Sunday under an umbrella and picnic rug. There are two garden plots as well as beer gardens and coffee carts on the site. The vast concreted area separating the terminal and runways. 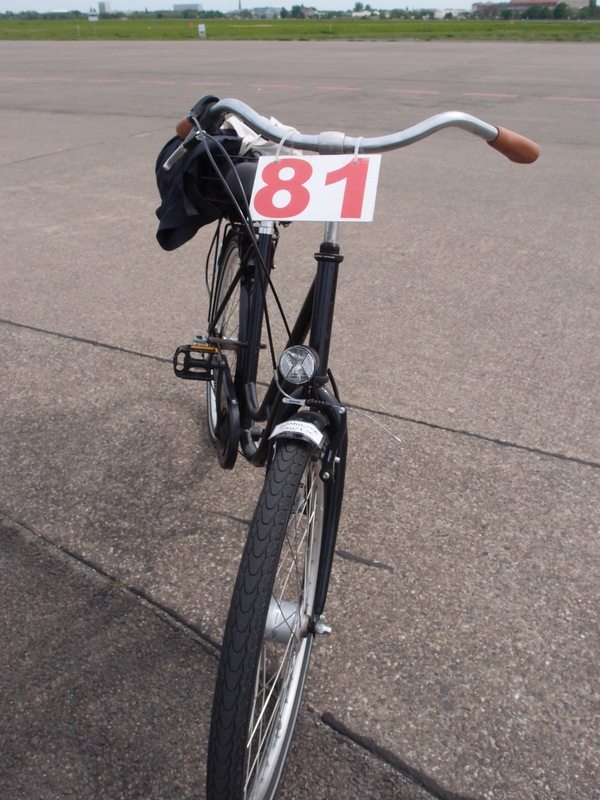 Bike, segue and go-cart hire is available where you can brave the headwind making your way down the two runways and around the circumference of the field. The centre of the field is mostly closed off due to vast bird habitats that are protected in the area. Riding your bike around the grounds is a great way to see the vast space. As a result of the current influx of Syrian refugees entering Germany, the airport has been turned into an emergency campsite, housing the migrants for the foreseeable future. 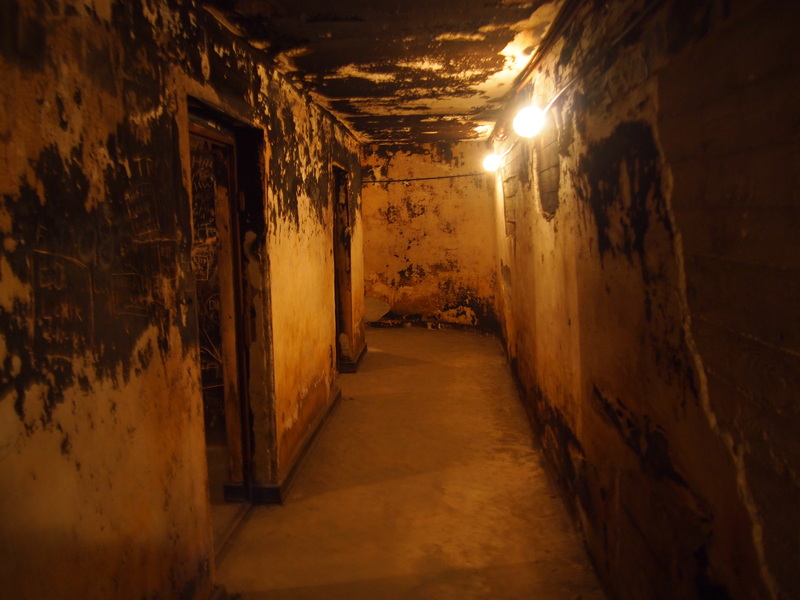 One of the many untouched underground spaces you can see on a Tempelhof tour. Taking a tour of the old terminal and the secrets of the underground rooms and tunnels is a great way to see inside the formidable structure and learn how the airport was strategically used throughout the Second World War and the Cold War by both Allied and Non-Allied forces for over 60 years. Tours are temporarily abandoned but for 15 Euro, they are a great way to fund the rejuvenation and preservation of this historic building and learn a thing or two about the important history of the complex.